Encore values client relationships! Working with the Dawson Academy for 20 years is a perfect example of this. 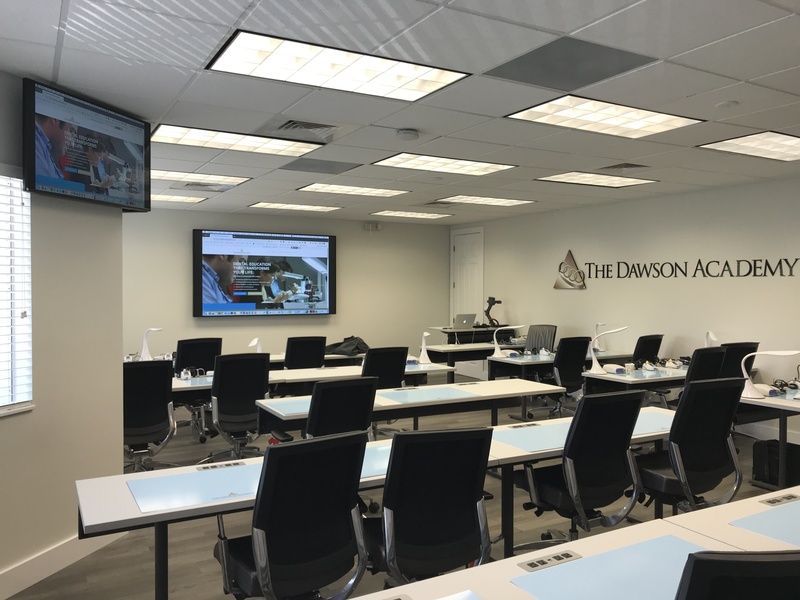 Set in downtown St. Petersburg, Florida this Dental Teaching Academy provides education to dental professionals all over the world. With a goal to streamline the instructor experience and still provide an amazing audio visual classroom experience, Encore delivered. Encore was brought into the City of Sarasota to convert their AV system in the commission chambers from SD to full HD. Almost everything was completely taken out of their existing system. New cabling was installed and the mission to replace outdated and failing technology began. The upgrades for the commission chambers were completed in two weeks and on time for their next scheduled meeting. Encore has been the key contributor for generating a better quality experience through superior audio, video and enhanced technology for the citizens of Sarasota. Southeastern University presented the challenge to stay current with advances in the broadcast industry while staying budget conscious. A comprehensive studio design process was imperative from the start to the final drawing set and equipment selection. The Flying Squirrel is Chattanooga’s best new restaurant located in downtown’s Southside. High ceilings, open architecture, hard surfaces and consideration for the neighbors in close proximity all posed challenges to clear, crisp, intelligible background music for this design. Encore Broadcast Solutions was contracted to compliment an environment that serves refined dining in the afternoon yet could transition to high energy in the evening. The Lee County Emergency Operations Center (EOC) plays a fundamental role in the safety of the citizens of Lee County, FL. It is imperative that the AV technology be reliable, cutting-edge and user friendly. The EOC is the official county warning center for natural or man-made hazards that threaten the area such as hurricane, fire or flood. Encore Broadcast Solutions has partnered with Lee County for over 15 years and was a perfect choice to work with the Lee County Emergency Management design team to develop a budget friendly, effective solution. When presented the opportunity to design and integrate the new HD audio and video system for First Presbyterian Church of Orlando we were up for the challenge. Encore wanted to honor this 135 year old historical landmark in the heart of the City Beautiful by bringing their AV technology up to the digital modern age. Our advancements will allow their congregation to continue to move forward with their message for many years to come.